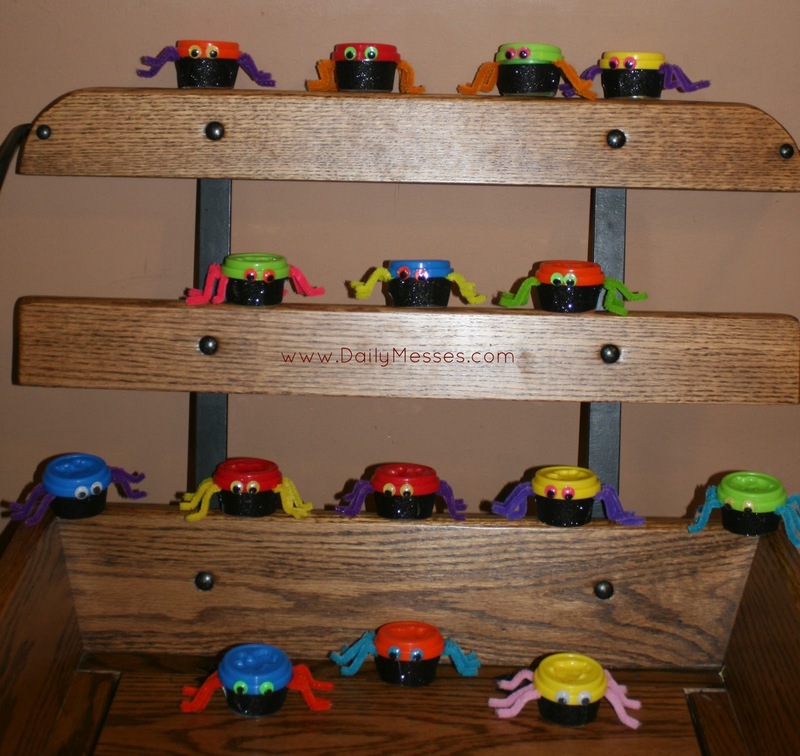 Daily Messes: Attack of the Play-Doh Spiders! 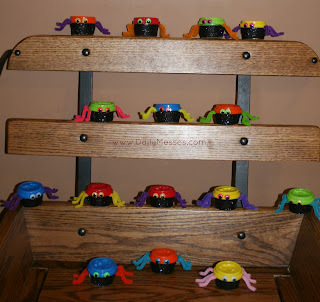 Attack of the Play-Doh Spiders! I just finished these up for Higgins' preschool class. They're having a Halloween party and I'm sending these Play-Doh spiders! I had to hide them downstairs, because he wants to play with them already. 1. 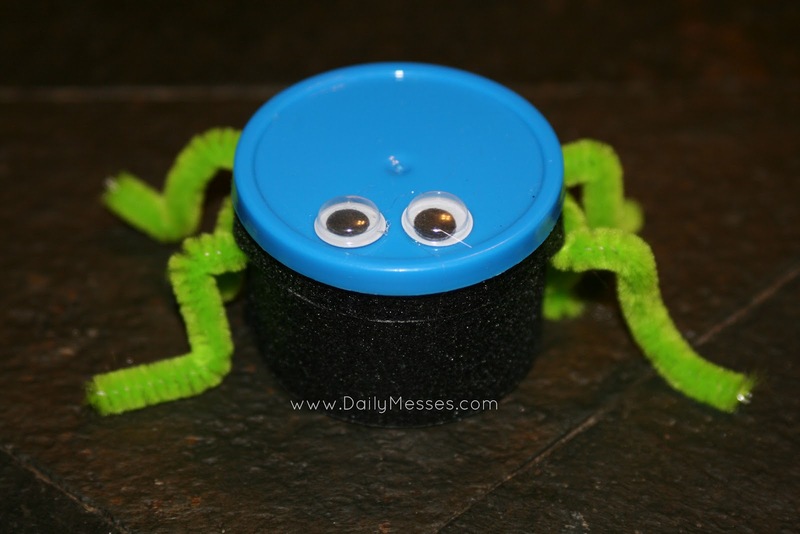 Cut pipe cleaners to create 6 legs. 2. Glue legs to side of container. 3. 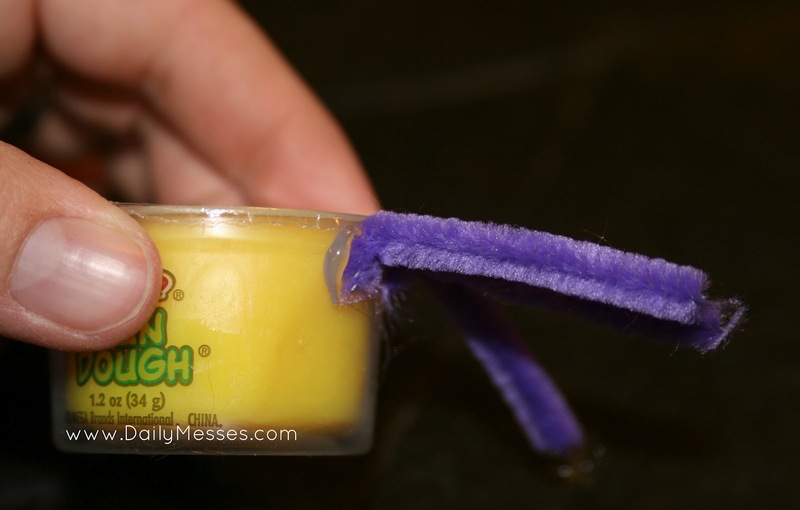 Glue ribbon to container. I used Glitter Tape: it looks like a ribbon, but has an adhesive back. 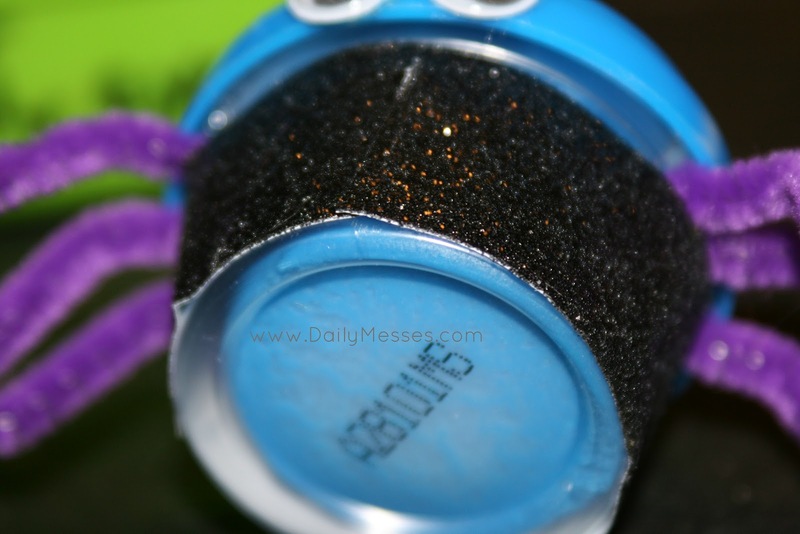 HINT (for Glitter Tape): If you have a straight container, it is easier to attach the ribbon. If your containers are slightly tapered at the bottom, you may have to make small cuts into the ribbon/tape to make it lay flat. Small snip in ribbon tape to make it lay flat. 4. 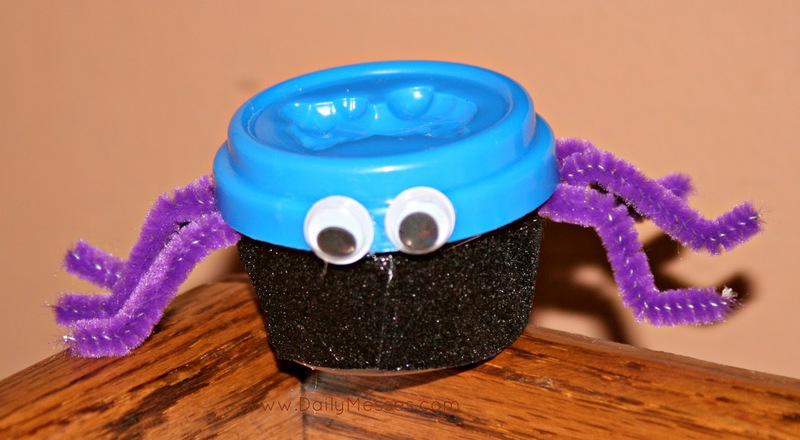 Glue googly eyes to side or top of the lid. attached to top of lid.